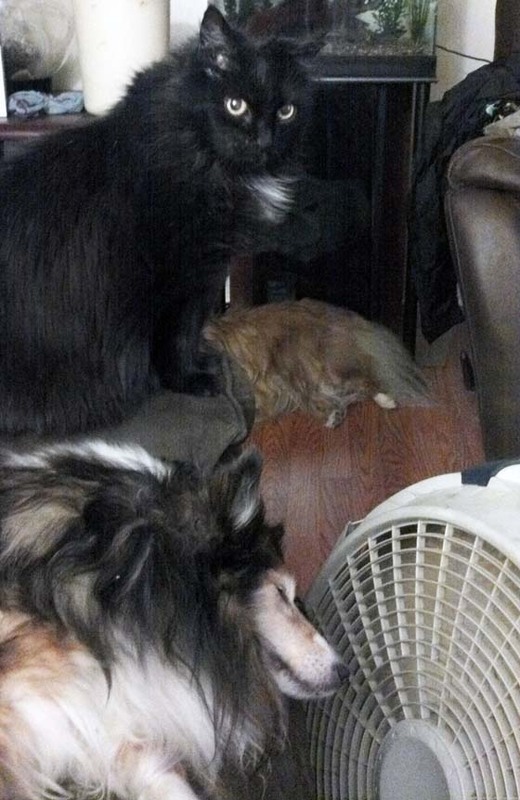 The dog on the floor gets the air conditioning vent. The dog on the couch gets the fan. The cat contemplates the unfairness of it all.